Below are some money saving specials and discounts. Check back often to see the new specials we’re currently running at the time you make an appointment. With this offer, there’s no excuse not to get back on track! 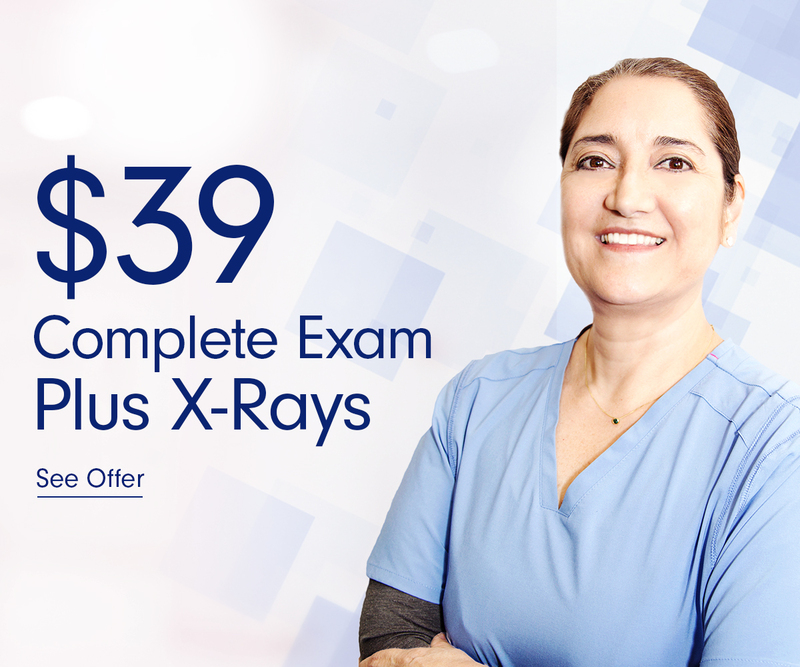 Schedule a complete exam and x-rays for only $39 and ensure you have a beautiful healthy smile. A beautiful smile and the confidence that comes with it is priceless. It’s also very affordable with our limited time promo, braces as low as $89/mo! There’s no need to wait until they become a problem individually. Take advantage of our limited time offer and get all four wisdom teeth removed at once, under sedation for only $1,299.